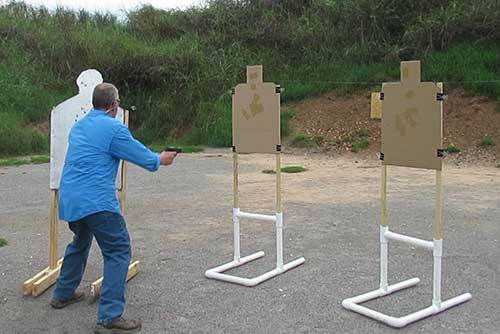 Silhouette targets can make for some of the simplest form of training with your semi-auto pistol or revolver. They can be purchased or easily made like the ones I'm using in the pics and video. 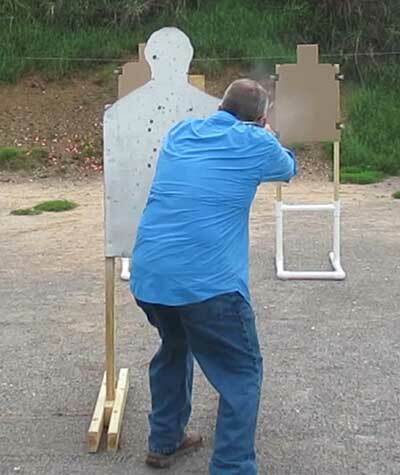 Silhouette Target Pistol Training from Christian Gun Owner on Vimeo. 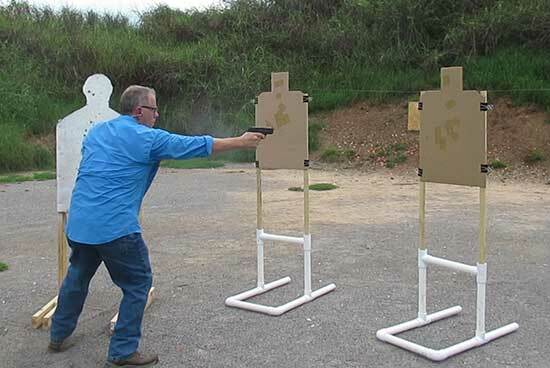 The targets you see in the first picture are two cardboard silhouettes that I cut out and placed on the target stands shown. 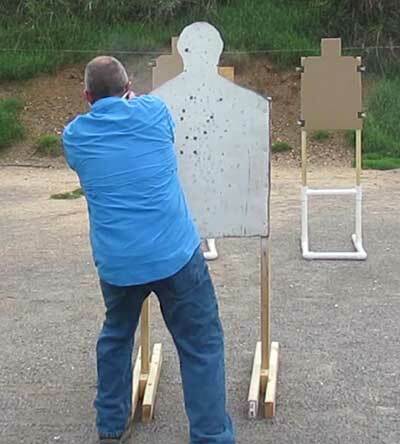 The third, white silhouette target is made from horse stall matt. It is very dense, and heavy, and self seals as you shoot it. The cardboard silhouettes are roughly the size of competitive targets. I keep one for a template, and cut the rest of them from that one as needed. There are videos online showing how to make the stall mat silhouette. 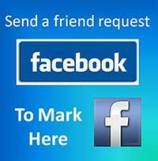 The first setup is a simple target acquisition exercise. I draw, shoot one target, followed by the other two, one shot each. I continue re-holstering and drawing until I have gone through a couple of magazines. That imitates shooting center mass with three advancing attackers at close range. The next drill keeps the targets in the same place. But this time I'm drawing and emptying my gun's magazine in the three targets before re-holstering. Multiple shots are fired at each, with a back and forth sweeping motion between the silhouettes. For this drill, you can switch between center mass and head shots.The key is to keep firing and keep hitting critical spots at close range. In this drill the stall mat target is placed up front with the cardboard silhouettes placed behind and to each side of it. I draw my pistol, shoot the stall mat silhouette several times; then run up to it and use it for cover to shoot the other two. The gives practice in using cover in a self defense shooting scenario. 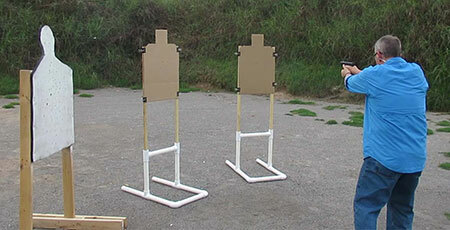 For the next exercise, I shoot the stall mat silhouette and the close cardboard one several times each. Then I run up between them to shoot at the one in the far corner of the bay. Again, this is practice for shooting around obstacles and cover. It also covers more distance to the furthest target. 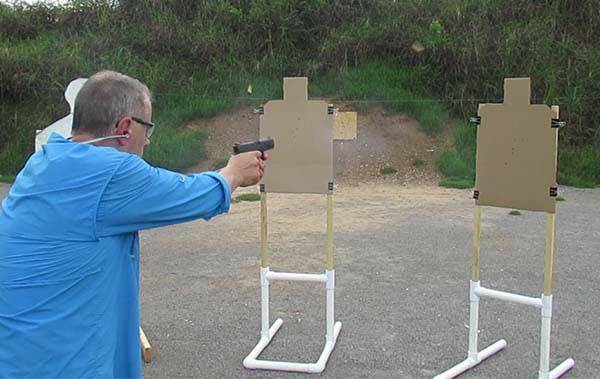 Since a gun is a last resort weapon, it should be understood that from time to time it's important to train doing something besides shooting. 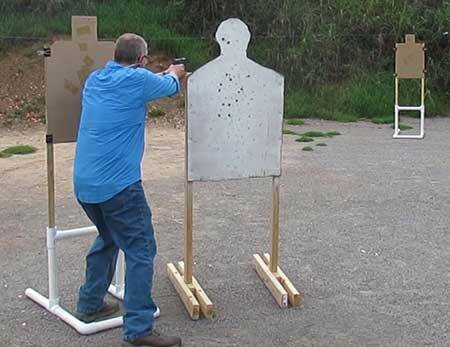 In many self defense scenarios, an attacker may get to a person before their gun can be effectively used. That might mean having to fight that attacker off with your hands, feet, elbows, or anything you may be able to grab while fighting him off. Or it may mean holding one off with your arm and hand while shooting at one or more others. It pays, from time to time to use one hand to practice holding off someone while shooting with the other hand. You can push on one heavy target, or if available, use a base-weighted heavy bag to kick or push on while shooting with the other hand. Never take for granted that your gun will be an end-all for any self defense situation you could find yourself in. Use your imagination and set up training scenarios to prepare for one or more attacker getting to you before you can get your gun in play. Someday, having practiced this way may save your life. 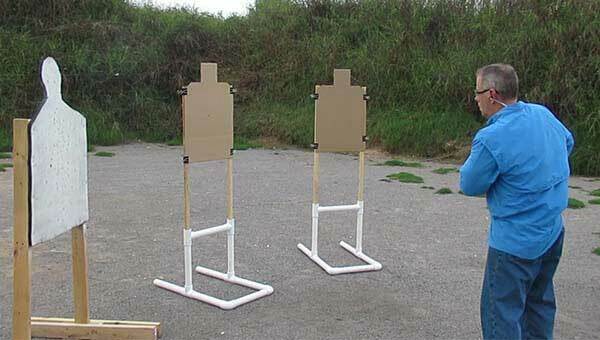 Silhouette targets. They come in paper, cardboard, all sizes and shapes. You can make them from stall mats like the one in the video. Then your imagination is the only limit to how you train with them.